Navigate to the Control Panel (from the Windows/Start menu). 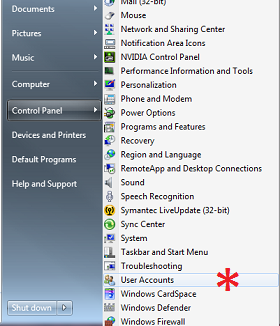 Expand the Control Panel and click on User Accounts. Select Manage your credentials and review the contents in the main window. 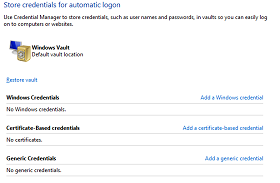 Delete (Remove from the Vault) any credentials under the Windows Credentials and Generic Credentials section that refer to "NEXUS". Click on the down arrow associated with the saved credentials and if you see an entry with "NEXUS\" or "nexus\" and your username, choose the option to Remove from vault. The example above is empty, but your list will contain entries. You only need to remove the NEXUS-related entries. When no more 'NEXUS' entries appear within the Windows Credentials or Generic Credentials, you should log out of your workstation and log back in. Press the Windows key on the keyboard or click the Windows Start icon. 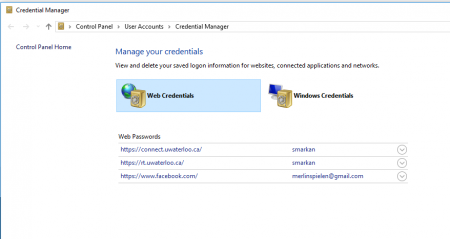 Start typing Credential Manager, and select the Credential Manager icon. 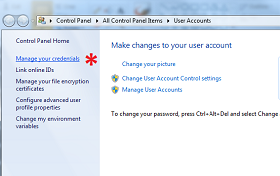 On the resulting screen you will see the choice to manage your Web Credentials or you Windows Credentials. 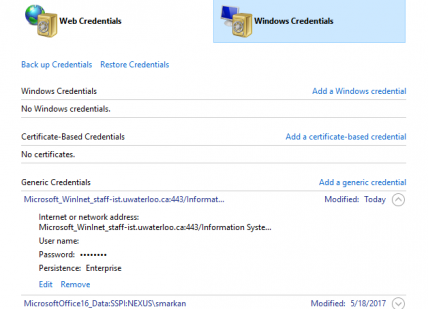 Delete any credentials under the 'Windows Credentials' grouping that refer to "NEXUS". Click on the down arrow associated with the saved credentials and if you see an entry with "NEXUS\" or "nexus\" and your username, choose the option to Remove. The example above may be different from what you see. You only need to remove the NEXUS-related entries. When no more 'NEXUS' entries appear within the Windows Credentials or Generic Credentials, you should log out of your workstation and log back in.